Used by the samurai class of feudal Japan, the naginata were long swords in the form of a pole weapon. 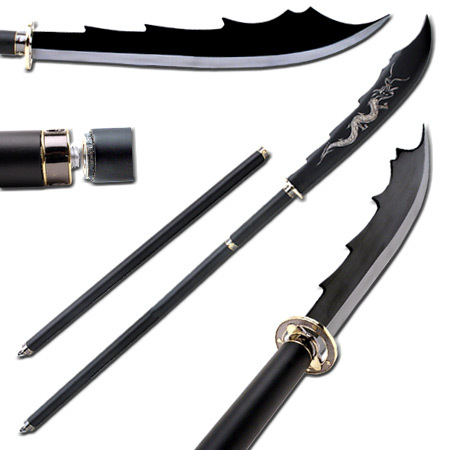 Naginata were used to batter, stab, and hook enemies. But their balanced center of mass allowed them to be spun, creating space for soldiers on the battlefield. love it. strong durable and very solid feel to it. this is a real weapon at a great price.